More Volunteer Park Cleanup Days Added! Help get our beautiful state parks ready to open! We've added more Volunteer Park Cleanup Days in addition to Saturday, April 24th at Emerald Lake State Park (which could still use volunteers too!). Now, five other dates and parks are looking for help, and for your help you'll also get rewarded! 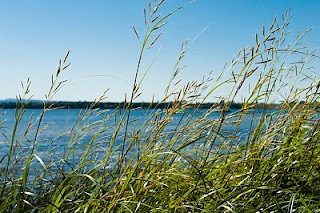 Saturday, May 1st at Lake St. Catherine State Park (10am - 4pm) *Green-Up Day! Please help protect state lands and trails by avoiding muddy trails! You may not know it, but trails and vegetation are super vulnerable during mud season and hiking on them during this time can cause irreversible damage by compacting soils and surrounding vegetation which accelerates erosion and the need for maintenance. High elevation trails are especially vulnerable during this time and take considerably longer to dry than lower elevation trails, so the state closes high elevation trails from April 15 – Memorial Day Weekend. Get ready for the park season by exploring some great state parks on Vermont Public Television's Outdoor Journal program Tuesday nights at 7:30 PM starting April 6th. The first show takes you to Alburg Dunes State Park, a little gem on Lake Champlain. Also fish for brook trout in some Northeast Kingdom Beaver Ponds and learn about Vermont's Fish & Wildlife Department's northern pike management program. On April 13th visit Emerald Lake State Park to do some bass fishing. Also explore some lesser-traveled waters by canoe and meet a couple of "trout bums" who fish for a living and live to fish. April 20th will take you to Elmore State Park. Also enjoy a trip to Camp Kehoe on Lake Bomoseen where the Conservation Leaders for Tomorrow program introduces wildlife management students to the culture and concepts of hunting. Give Some of Your Time to Vermont State Parks and Get Rewarded! 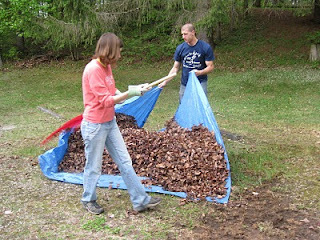 and Vermont State Parks will sweeten the deal for you by giving all volunteers a punch card or a FREE night of camping! 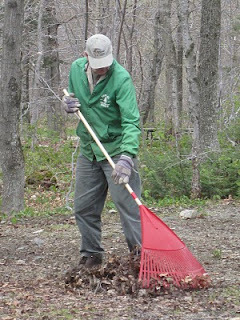 Bring friends and family to help rake leaves, pick up brush and trash, and other outdoor tasks that help get the parks ready for the busy season. Bring water, lunch, and sturdy shoes. All other supplies needed, such as work gloves, rakes, trash bags, etc., will be provided. Contact Lesley Porter via email or phone (802) 417-7630 to sign up. We hope to see you and thank you for your support! Want to give a bit more?